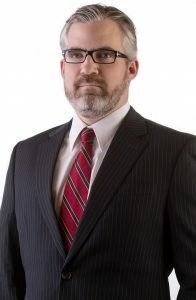 Nathan Bess is a partner with Aylstock, Witkin, Kreis & Overholtz, PLLC. He was a Wilkins Scholar at the University of the South in Sewanee, Tennessee, where he earned his Bachelor of Arts in Economics. He received his law degree from the Levin College of Law at the University of Florida, where he also completed a certificate in Environmental and Land Use Law. Mr. Bess leads the Environmental Law and Toxic Torts practice at the firm and also practices in the areas of Pharmaceutical Mass Torts, Defective Device Mass Torts, and other complex litigation. He has experience in toxic torts involving groundwater, soil, and dust contamination. In the mass torts context, Mr. Bess has been involved in all aspects of pharmaceutical and medical device litigation, and has been involved with MDL litigation involving Actos, Hormone Replacement Therapy, Transvaginal Mesh, Trasylol, Paxil, Yaz, Pradaxa, the BP Oil Spill, and other defective drugs or devices. While in law school, Mr. Bess served as a Teaching Assistant (Legal Research and Writing, Appellate Advocacy), Election Commissioner, member of the Honor Committee, Moderator and Speakers Chair for the Public Interest Environmental Conference, Local Chair for the Annual Conference of the National Association of Environmental Law Societies, Vice-President of the Environmental and Land Use Law Society, and was a member of Phi Delta Phi, a legal honor society. He was also a member of the American Law and Economics Society. Additionally, Mr. Bess was a founding member of the Florida Journal of Ecology and Environmental Law, for which he served as Articles Editor. Also during law school, Mr. Bess clerked for several law firms practicing class action toxic torts and public interest environmental law. Mr. Bess has served as a member of the Community Investment Committee of the U.S. Environmental Protection Agency Brownfields Cleanup Revolving Loan Fund. He has also been a faculty member for Sterling Education Services on the topic of green issues in landlord-tenant law. He is licensed to practice before all Florida state and federal courts and the U.S. District Courts for the Western District of Tennessee and the Eastern District of Wisconsin. He is a member of the American Bar Association (and the Section on Environment, Energy, and Resources), the Florida Bar Association, the Escambia-Santa Rosa Bar Association, the American Association for Justice, the Florida Justice Association, and the First Circuit Justice Association.